The Canadian Junior Men’s National Team took to the floor at the world stage for the first time in 1996 and then not again until 2002. 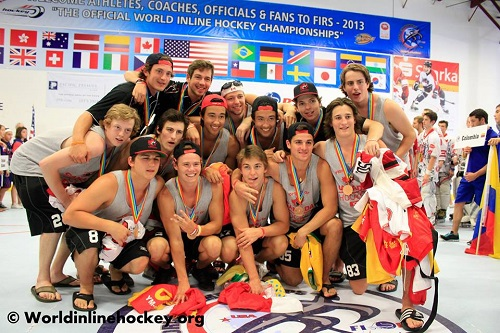 ***Canada did not attend the 2015 World Inline Hockey Championships and they did not send a Jr Women's Team in 2017 or 2018. 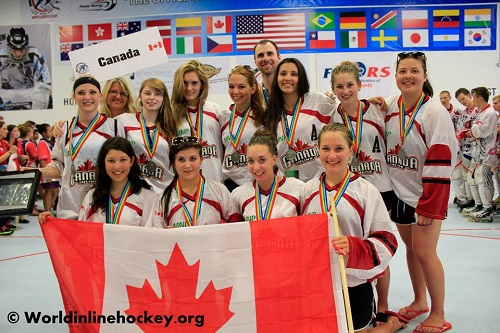 Canada Inline was proud to announce the first Junior Women’s National Inline Hockey Team roster in 2013. With the expansion of the FIRS World Championship tournament format in 2013 the Junior Women got their chance to show off their skill and passion for inline hockey. The a close final game, the Canadian Jr Women's had to settle for silver in their World Championship debut.